Friday was a blue moon, a rare occurrence where there are two full moons in one month. It was a weird and emotional day. Both my wedding ring and dress arrived in the mail. I love the ring. But the dress...not so much. 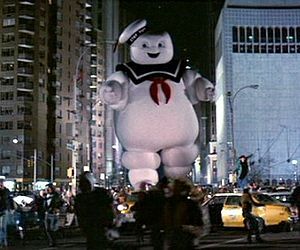 It's too big, plus it's strangely rigid and constricting and itchy, not to mention that I look like the Stay Puft Marshmallow Man in it. 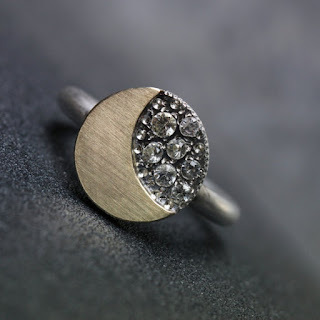 The ring (gold moon and white sapphire stars). It was embarrassingly difficult for me to avoid beating myself up over that. Of course it is inconceivable to my brain that it could be the dress that is poorly constructed instead of me. I had to take deep breaths and tell myself it's just a dress, it's not important over and over until the urge to defenestrate the damn thing subsided. Because it's not important. As ridiculous as it is, I sometimes fall into the trap of thinking that somewhere there is this one perfect dress that I will put on and suddenly be magically transformed into everything I always wanted to be. But that's not how it works. Transformation happens slowly, while you're off having lady adventures running/hiking in Hi-Tor and peaching friend's cars and running in Lucien Morin Park and SUPing and trying to maneuver your car backwards through a tiny little opening because someone double parked and blocked you in and eating ice cream on rooftops with your SWAT team. You become who you want to be when you do the things you love and spend time with the people who accept you for who you are. I think maybe there will always be things about me that I wish I could change. At the same time, I can't help but feel a certain fondness for all my scrapes and mosquito bites and inexplicable bruises and many imperfections. Because they are the marks of a life well lived and a body that gets up to so many adventures. Because life is about taking chances. And yeah, sometimes you take a chance and buy a dress online, sight unseen, and you feel so uncomfortable in it and it's totally not you at all and that's kind of a disappointment. But sometimes you take a chance and go new places and try new things and make the kind of rare and exceptional friends you only find once in a blue moon. And if you're really lucky, sometimes you take a chance and say yes to that tall guy who keeps asking you to go on bike rides (though you can't figure out why because you're terrible at biking) and then you're riding through Mount Hope Cemetery and he asks you what you want to happen when you die and you say you want to be cremated and launched into space (obviously) and he is surprised and says that's what he wants too, and you don't even know it yet but suddenly you have found everything you were always looking for but didn't think actually existed. Lyric of the moment: "And one day we will die and our ashes will fly from the aeroplane over the sea. But for now we are young. Let us lay in the sun. And count every beautiful thing we can see. Love to be in the arms of all I'm keeping here with me...What a beautiful face I have found in this place that is circling all round the sun. And when we meet on a cloud, I'll be laughing out loud, I'll be laughing with everyone I see. Can't believe how strange it is to be anything at all..." ~Neutral Milk Hotel "In The Aeroplane Over The Sea"